As stated previously, the specific goals of qi gong practice will vary from one discipline to the next, however, in general, the martial arts practitioner will first want to promote overall health and well-being by seeking a balanced distribution of energy in the body and improving the body's efficiency in terms of energy movement and usage.4 This will include methods aimed at integrating and harmonizing the mind, body, and breath utilizing a safe, gentle, and well-balanced approach. Balance, efficiency, and naturalness are the key elements to building a body which is strong internally. If the body's internal systems are not balanced in terms of energy production, distribution, and consumption, then the body is not working optimally and any attempt at utilizing internal energy in a martial arts or healing practice will only cause further imbalance and can eventually damage the internal systems. 4) While there will always be an ebb and flow of energy in the body and thus there will never be a perfect balance, balance in this sense means that the body is functioning fill the reservoir with water until the dam is fixed. It seems like common sense, however there are many practitioners who practice "power" qi gong methods before their body is fully balanced and operating efficiently. The power is transmitted through a system which is not internally connected and internally balanced and thus this weak structure is shocked and damaged. It would be like overloading an electrical circuit, the body will eventually "blow a fuse." Power qi gong methods should only be practiced after the student has had a great deal of experience with much gentler, energy balancing, qi gong methods. The body must be internally connected and internally balanced before power training can be initiated. Training for power without slowly building up through a systematic series of exercises would be analogous to running a marathon without ever having practiced any type of jogging or running exercise prior to the 26 mile run. The body can be severely damaged. Unfortunately, the damage which is done by the practice of inappropriate qi gong does not usually manifest right away. Energetic changes in the body are subtle and gradual. Unless the practitioner is under the guidance of an experienced teacher or skilled Chinese medical doctor, the signs of dysfunction can go unnoticed until they are blatant enough to be physiologically confirmed. At this point, the damage is done and will take a long time to correct. While each particular power qi gong method will carry its own bag of problems caused by incorrect practice (which includes practice of a method correctly before the body is ready to practice that method), in general, most inappropriate practice tends to effect the heart first. Because qi and blood have a very close relationship and because the heart is the "palace" of the fire element, when the qi or blood is damaged during the practice of power qi gong methods, one can expect that damage to affect the heart. 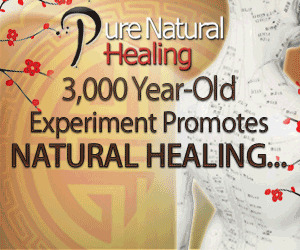 Because the operation of the heart has a delicate neurological firing system and the need for the blood to be of the proper consistency, when internal functions are thrown off from improper qi gong you often have problems in the heart which are either physiologically confirmed or become psychological or psychosomatic. Physically, the heart can be damaged in several different ways. Improper repetitive shock to the heart caused by the practice of power striking methods, including fast whipping motions in the air, the hitting of heavy bags, or fa jing types of training, which are practiced before the body is internally connected and internally balanced is the first way the heart can be physically damaged. The next common problem effecting the heart in qi gong training is inordinate pressure caused by inappropriate breathing methods. Breathing that is held or forced, breathing that is unnatural, or breathing methods executed with tension in the body can all place too much pressure on the heart. Lastly, stress on the heart caused by the overheating of the qi or blood can also have a negative effect on the body physically. Practice which is executed in a forceful manner with tension, stress, or straining can obviously cause the blood or qi to overheat. However, even gentle methods practiced with forced intention (overuse of the mind) can cause the blood or qi to overheat and thus place stress on the heart. Psychological problems resulting from improper qi gong can stem from the fact that the heart "houses the shen (#)." In Chinese medicine, the shen (or "spirit") is related to spiritual wisdom, intuitive insight, creative capacity, mental awareness, and overall vitality. The psychological problems occur due to the physical heart damage, as discussed above, because when the heart is damaged in any way, the shen can be affected. Unfortunately, when these problems occur Westerners do not usually pick up on them or do not relate them to the qi gong practice. 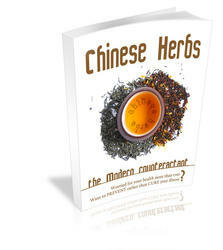 The typical dysfunction of this type is what is known in Chinese medicine as "shen disturbance." Shen disturbance is characterized by signs such as anxiety, nervousness, poor judgement, restlessness, sleeplessness and the inability to properly interpret the suroundings. Many times individuals suffering from shen disturbance will appear out of touch with their surroundings and with others. They will appear "spaced out." Shen disturbance affects the memory, emotions, and judgement. Lack of wisdom in judgement is a common problem related to shen disturbance. Individuals with this condition will inappropriately fixate on things. Even qi gong which is practiced correctly can lead to shen disturbance if the practitioner does not participate in a qi gong system which is complete or does not practice under the guidance of a qualified teacher. Every level of qi gong should be viewed as a systematic process which contains a beginning, middle, and end. Each level of practice, or method of practice, has purpose and direction. The practitioner begins with the purpose in mind, executes certain exercises or techniques which facilitate that purpose, and then once results are obtained, the practice is appropriately varied, modified, changed, or concluded. For instance, certain qi gong practices are designed to open up specific "energy centers," "energy gates," or "energy points" in the body. Opening these centers, gates, or points would be the "purpose" of the training. While the pracitioner is involved in the training, he or she should be closely monitored by a knowledgable instructor to insure that there are no "hitches" in the process of opening these energy centers, points, or gates. After the practitioner has worked with the qi gong method and the energy gate, point, or center is "open," it is time to progress to the next stage of training, whatever that might be for the particular system of qi gong the student is practicing. If the student is not participating in a complete method of qi gong under the guidance of a knowledgeable teacher and is not monitored through the process or does not know the next step in the training process which is supposed to occur after obtaining results from any given method of practice, problems can begin to arise. Because of the mutual influences any significant energetic movement or opening in the body has on the rest of the physical body, mind, spirit, and emotions, there must be a systematic method in any qi gong training which takes results obtained at each stage of practice and either completes, balances, varies or continues the process when each milestone is reached. If an energy gate, point, or center is opened as a result of training and the practitioner does not know how or when the training needs to progress to the next stage, at best they will stagnate in their training, at worst they will create a disharmonious condition in their body. When a significant energy event (energy movement, opening, or release) occurs in the body and the student is not taught how to advance from that experience, problems can arise. Unfortunately, these types of energy events may feel very nice to the practitioner because there can be an associated "endorphine rush" when the energy is released. Students who cling to this experience and do not look past it to the next level of experience will stagnate in their training and can sometimes create a shen disturbance condition by fixating on trying to repeat that one experience in every training session. Another common occurance which can accompany a significant energy event in the body is the release of stored emotional energy or "body memory." Many times when our body or mind experiences an injury, be it physical or emotional, the "memory" of that event can be stored in the body like an "energetic scar." Significant energy movement can release this "memory" and the result can negatively affect the practitioner's emotional state. When the student is not under the guidance of a knowledgeable instructor, who knows how to reckognize the signs and symptoms of this emotional release and treat this condition effectively, depression, anxiety, nervousness, sleeplessness and restlessness can result. 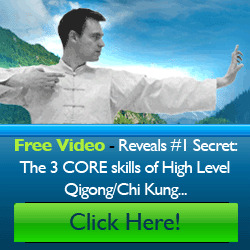 "Power" qi gong methods are definitely a part of the martial arts. If the practitioner wishes to use internal strength and energy to harm an opponent in combat, the practice of methods designed to teach the student how to use internal energy and internal strength in striking an opponent are necessary. But, as stated above, the student should not jump right into practicing these methods. There should be a gradual, systematic, developmental process taught by an instructor who knows how to cater to each student's individual needs. Power qi gong methods are not practiced until a strong foundation is built. Secondly, once the student begins training these methods, it is vital that he or she continue to practice qi gong methods which are designed to balance and rebuild the body's energy. Many martial artists and Chinese medicine doctors burn themselves out because they do not balance their practice between energy usage and energy rebuilding and balancing. A good internal martial arts teacher with a complete method will know how to balance a student's practice between energy usage and energy rebuilding (yin and yang training methods). In qi gong practice, as it relates to the martial arts, there should be a systematic process of training which begins with a program of balancing the body's energy, structure, and movement, and then continues with exercises designed to build internal strength while maintaining that balance. Once these two goals are accomplished, the practitioner can then start to learn how to use that energy for martial purposes and power. However, once the student begins this power training it is vital that he or she continue to balance the training with rebuilding and cultivation methods. The number one priority is to maintain a strong, healthy, balanced internal system, not to see how much "power" one can obtain.